Kim Burge | Inspire Financial Group, Inc.
After serving 32 years as an educator, Kim joined Inspire Financial Group in 2012. 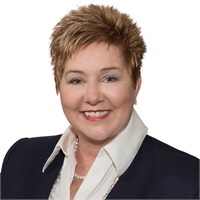 As a Financial Professional, she has a strong understanding of the Texas Teacher Retirement System and identifies with the financial retirement assistance needed by educators. Kim earned both a B.S and M.S in Family Studies from the University of North Texas. She’s married to Kyle; they have two children, Brooke and Brandon, and they reside in Southlake, Texas.